Readers’ advisory librarians are the ultimate literary matchmakers. We listen to our patrons, get to know their interests, set them up with a book, and hope they hit it off. If we do our jobs effectively, our patrons will fall in love with multiple partners. And they’ll keep coming back for more. “Blind Date with a Book” offers librarians the perfect way to showcase our readers’ advisory services. We select a diverse group of books, wrap them up, and highlight the appeal factors in a fun way on the cover. A patron looking at a wall full of cheeky descriptions has a far more interesting decision to make than a patron looking at a wall of book covers. Ideally, any readers’ advisory will lead the patron to a deeper understanding of themselves. Looking at a “Blind Date with a Book” display, they have to ask themselves: what type of story am I in the mood for? 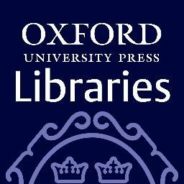 What type of books do I want to avoid? What makes me like the books that I like? When I did this display at Kitchener Public Library, our books flew off the shelf and I consistently noticed patrons taking the time to seriously consider the different options available to them. One woman picked up a wrapped book that said “A twisty, dark psychological thriller. For fans of Gone Girl” and asked if we had any more like that. After the display, I did notice I was receiving more in-depth readers’ advisory questions. It seemed as though people were rediscovering the service and were more comfortable engaging with their librarians. Examples of “Blind Date with a Book” covers. Used with permission. There are many different approaches to this display: some librarians write the first sentence of the book on the cover, some write only the genre, others write 3–5 appeal factors. In terms of providing excellent readers’ advisory, the more information you can put on the cover without giving away the book, the better. A good readers’ advisory interaction isn’t handing a patron a book and saying “this is a mystery.” It’s finding out as much as you can about what the patron wants in a mystery, and finding them their perfect match. Write a sentence that captures the key appeal factors in the book—the pacing, tone, outstanding characters, setting, or humor. 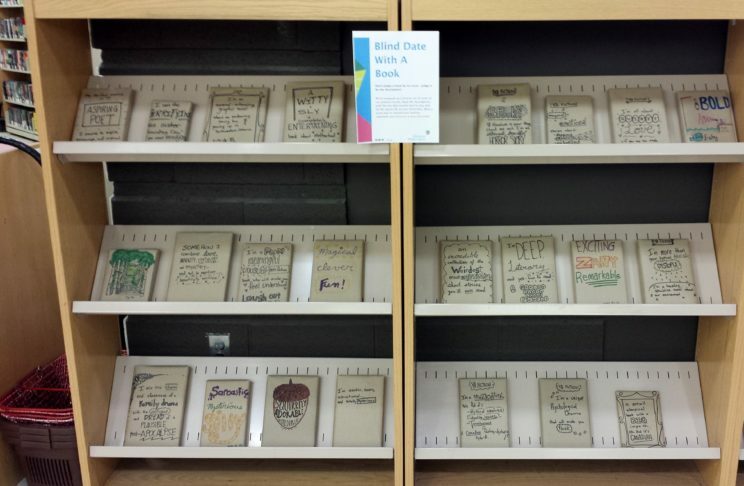 Yes, “Blind Date with a Book” is a cute, cheeky display that surprises and delights our patrons. We should always be seeking out unique experiences that will shift people’s perspectives of the library. But it can be so much more than that. This could be their gateway into an advanced readers’ advisory relationship with their librarians. Hand draw the covers. If you have the time, or a particularly artistic staff member, this will make a big difference in terms of the conversation it sparks and the circulation rate. It doesn’t need to be elaborate. It just needs to be unique and handmade. Include a bookmark in each item. Include the contact information for a readers’ advisory librarian for when they need another recommendation. “Blind Date with a Book” display example. Used with permission. Include a form. Patrons can fill out their book preferences and drop it off for a personalized list from a librarian. Add teen and children’s items. Use a different colour for each age group. Include multiple formats. Why not “Blind Date” with a DVD? Put it on a power wall. The best way to present all the choices and facilitate browsing is with a large, flat, face-out display wall. Choose diverse books. You need to represent as many possible perspectives and reading tastes as possible. Include a diverse range of authors, genre, characters, form, setting, language, and subject matter. If you only wrap romance books, only one type of reader will benefit. “Blind Date with a Book” encourages patrons to not “judge a book by its cover.” But it does so much more than that. A reader might discover that what she loved about reading all along wasn’t the cozy mystery genre—it was the intricate characters and style of writing. You might convert a die-hard romance reader into a comic book fan. By using the draw of the unknown, you might break through a stubborn reader’s comfort zone and introduce them to a whole new literary world. Short term—it’s an excellent way to increase circulation statistics and get your hidden gems into the hands of readers. Long term? It opens the door for a much more involved conversation and could be the spark of a few lifelong readers’ advisory relationships. What successes have you experienced by running a “Blind Date with a Book” display at your library? Featured image credit: “Book pages” by congerdesign. CC0 Public Domain via Pixabay. Karissa Fast is the Children and Teen Librarian at Fort Erie Public Library in Ontario, Canada. For more of her library program ideas you can access her blog or follow her on Twitter.